Meera, is one of India’s leading bankers, who relinquished her job as CEO and Chairperson of Royal Bank of Scotland, India in December 2013 to enter Public Service. After stepping down from RBS, Meera joined the Aam Aadmi Party, and stood for the National Parliamentary elections as the candidate for South Mumbai. She is in charge of the party’s National Policy Committee and helped formulate the Delhi Dialogue for the Delhi State elections which the party won with an absolute majority in 2015. Meera is committed to the economic, social and political empowerment of women. She is a member of Secretary Clinton’s International Council on Women’s Business Leadership and was a Board member of Pradan, an organization that works to empower rural and tribal women in India by building entrepreneurial skills and creating sustainable community institutions. She devotes a lot of time to educational and youth issues. Meera is a member of the International Board of Right to Play, a global NGO that uses the transformative power of play to educate and empower children facing adversity. She chairs the Supervisory Board of Jaihind College, a reputed graduate college in Mumbai and was the Chairperson of the Indian National Advisory Board of AIESEC, the world’s largest youth driven organization. Meera chairs the Urban Development Committee of the Indian Merchants’ Chamber and is leading a citizen’s movement APLI Mumbai, for Urban regeneration in Mumbai through the re-development of Mumbai’s PortLands. Meera is also a Board member of LiberalsIndia for Good Governance – the Indian Liberal Group. 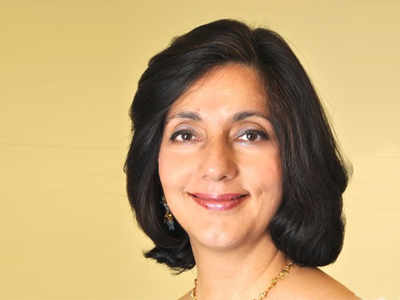 In her banking career spanning 30 years, Meera worked with the Royal Bank of Scotland’s for 21 years, most recently as CEO & Chairperson of the Bank in India leading over 14,000 staff. Her prior roles were as COO for the Asia Pacific region, Head of Corporate Finance Advisory for Asia, Founder and CEO of the bank’s global ITeS company and Head of the Investment bank in India. Meera mentored the bank’s Micro Finance program that financed over 650,000 women in rural India and chaired the bank’s Foundation that provided livelihood assistance to 75,000 women led households in threatened ecosystems. Her prior experience was with Lazards and Grindlays Bank. She graduated with an MBA from INSEAD, France and completed the Advanced Management Program at Harvard Business School. She is a Fellow of the Chartered Institute of Bankers (UK). Meera was awarded the Philanthropist of the Year award by FICCI, Woman Banker of the Year award by the Indian Merchants Chamber, the Woman of Substance Award by the Rotary Club; and the Karmaveer Puraskaar, a national people’s award instituted by iCongo, a countrywide confederation of NGOs, for her work in social development. She is married, has two children and enjoys yoga, meditation, swimming and reading.